Do you avoid looking in the mirror because of a scar on your face? Scars can often be unsightly reminders of a previous accident, injury or trauma. When they occur on the face, it can be even more devastating. A scar is a group of connective fibrous tissues and is a natural response when the skin is damaged from a cut, burn or wound. Unfortunately, the appearance of a scar can be quite unattractive. Scars can be wide, sunken, red, raised, pale or even cause distortion of other parts of the face such as your eyes or lips. The good news is that you do not have to be stuck with an unsightly facial scar for the rest of your life. With today’s advancements in facial plastic surgery, you can undergo a scar revision procedure and regain the confidence you once had. There are a number of surgical techniques or procedures that can make your scare more smooth and less visible. A plastic surgeon will use one or a combination of scar revision techniques depending on your specific type, location, size and thickness of your scar. Some scar revision surgeries involve recreating the incision, moving skin around or even moving the scar to make it less visible. If you have a raised or raised scar, it may be improved with dermabrasion and laser resurfacing. These procedures remove the top layers of the skin with special abrading tools or laser light therapy. This can be a less invasive procedure for those that simply want the scar to be smoother or less visible but not removed all together. Many people develop keloid scars, which are the result of an overly aggressive healing process. Keloid scars are an overgrowth of tissues that typically extend beyond the original injury. They commonly appear with a smooth top and a pink or purple color. These types of scars may be treated first with injection medication to reduce the size. Next, a plastic surgeon can remove the scar if necessary and use fine stitches and advanced techniques that minimize the risk of future keloid scarring. Regardless of the type of scar you have, how you got it or how bad you think it is, there are plastic surgery techniques to make it look better. 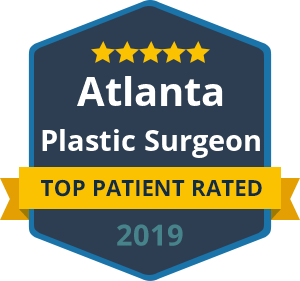 Dr. Ben Talei is a double board certified plastic surgeon who specializes in all types of scar revision surgeries as well as revising and improving previous plastic surgeries that did not produce the ideal results you were looking for.